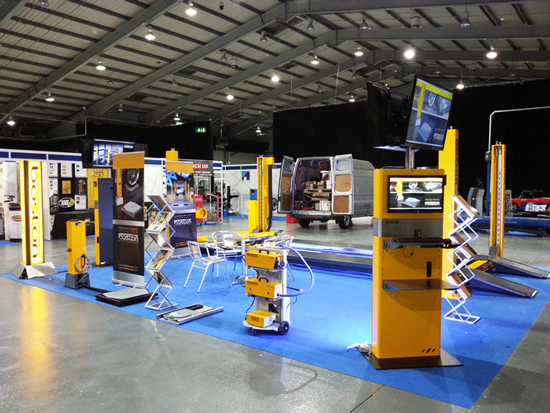 Boston has just exhibited at the Telford 2013 Tow Show with overwhelming success. On the stand they displayed their 6T lift (fully operational) which was fitted with Boston’s new and very impressive optional lighting kit. Also on the lift was their unique APC (Any Post Control) system which allows the lift to be controlled from any corner by a small rubberised magnetic control panel. With a UK manufactured electronic control system, the 6T and 4T versions come in a choice of lengths. Stainless integral play detectors and turning plates are available for MoT testing, or alternatively blanking plates for service work. Reinforced sub-structure, membrane keypad operation and high quality European build are further benefits of Boston’s specification. 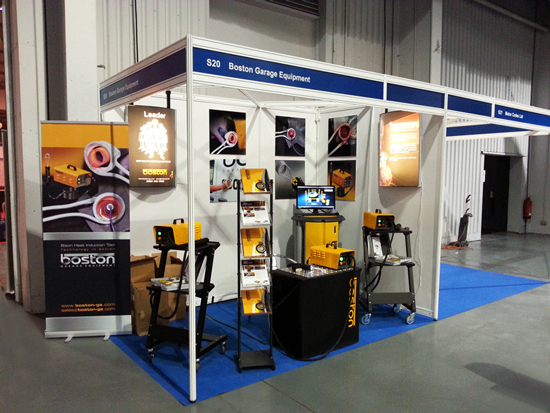 On a separate stand at the show, Boston exhibited and demonstrated their new Bison Heat Induction tool. Amazing to see in action, the RF heating process is non-contact and provides fast, safe, intense, flameless heat very precisely where needed. Rusted or seized nuts and joints become red hot and free in seconds! Boston also displayed their PD304 Hydraulic Play Detector with wireless torch control and their new and impressive GCP4 control station for the new range of braketester and emssion equipment. Their new emissions software was also on demonstration and is shortly due for release together with the upgraded VOSA program for ATL brake testing. Some sales representatives are wrongly informing MOT stations they need a new Smoke Meter. Hydraulic Two Post Lift Special Offer!